How important is the retro sixties modernist design of the Coburg Olympic Swimming Pool Foyer and the landscaping of the pool to you? Moreland Council is planning to upgrade the foyer of the Coburg Olympic Swimming Pool. A representative of Friends of Coburg Olympic Pool met with City of Moreland planners and the architect to go over possible plans for the renovation. While FCOP is pleased that the City of Moreland are planning to improve the usability of the pool entry foyer, we are very concerned about the way that the proposed remodel interacts with the unique 60s modernist entry. The heritage significance statement for the Coburg Olympic swimming Pool (see page 109) identified the swimming pools, the landscaped setting and the ‘modernist entry building, including the interior’ as features of Coburg Olympic Swimming Pool that should have heritage controls. There is still scope within the proposed heritage overlay to allow for the pools and buildings to be used and for modern amenities to be incorporated. The Coburg Olympic Swimming Pool complex was recommended for inclusion on the local heritage overlay by a series of experts in 2011. The experts included a heritage consultant hired by Moreland Council, council planning staff, and the Planning Panels Victoria tribunal. However the Moreland City Councillors removed the Coburg Olympic Swimming Pool from the list to be included in the heritage overlay and therefore the pool does not have the recommended legal protection. While the Friends of Coburg Olympic Pool support the aims of the planned upgrade to the foyer - to facilitate more staff in the entrance and kiosk, improved storage to offer a wider range of food for sale – the Friends are in the process of providing feedback to Moreland Council about retaining as much of the heritage fabric as possible. This includes the importance of retaining the retro 1960s ambience of the entrance and not distracting from the distinctive modernist design. We believe that Moreland Council should obtain advice from the council Heritage Advisor on the Coburg Olympic Swimming Pool project to enable the usability aims of the foyer redesign to go ahead without compromising the heritage significance of the site. We will keep the wider group up to date with discussions and welcome comments on the proposed re-design of the foyer. Please let us know what you think by commenting below, on our Facebook page or by email to savecoburgolympicpool@gmail.com. New Coburg Olympic Pool t-shirt! 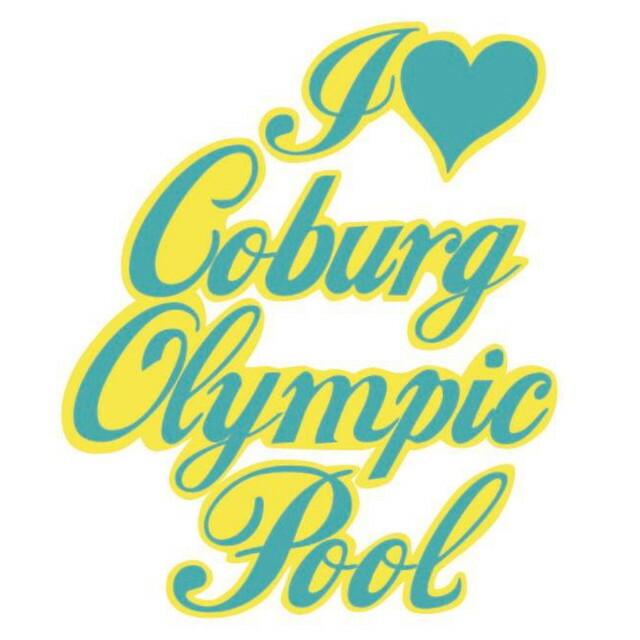 I am going to print t shirts with a new Coburg Olympic Pool design above on them on Tuesday (11/02). They will be available to buy from Friends of Coburg Olympic Pool at Ride To Pool Day, Sunday 16th Feb, at the pool, for $15.00 each. But, if people have their own plain white or black cotton tops that they would like printed on they can contact me karenlokerse@hotmail.com to get my address and leave them on my front porch. to print the design on your t shirt. Please write your name in the tag and also pin your name and contact details (and $ in an envelope) to the t shirt so that you can get them back when done. We also have a way to invoice you using Paypal but you would still need to get the t-shirts to me by Tuesday morning.